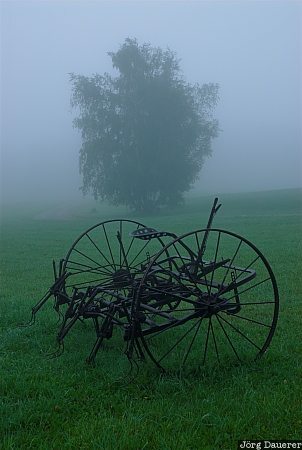 A tree and old farm equipment in early morning fog in the Green Mountains of Vermont near Stowe in the eastern part of United States. This photo was taken in September of 2006. This photo is part of the exhibition Autumn (October 2006). This photo was taken with a digital camera.